These record file names are composed of the prefix mage— followed by an Id (a unique string) that identifies that particular record, combined with a tag (a way to identify the type of cache record) and some other unique identifiers like the first 2 characters of the md5 hash of the path to the file. This pattern makes each record unique and allows you to clean all cache records tagged with a given tag (or tags). When to clean this cache type? 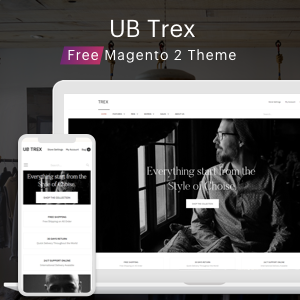 Collections Data collection_data Collection data files Magento cleans up this cache automatically. But it also depends on your specific use case or custom module logic. Reflection Data reflection API interfaces reflection data Removes a dependency between the Webapi module and the Customer module. Database DDL operations db_ddl Results of ddl queries, such as describing tables or indexes Magento cleans up this cache automatically. But it also depends on your specific use case or custom changes to your database schema. EAV types and attributes eav Entity types declaration cache You should not typically need to clean or flush this cache type. In this section, we will talk more about cache management. 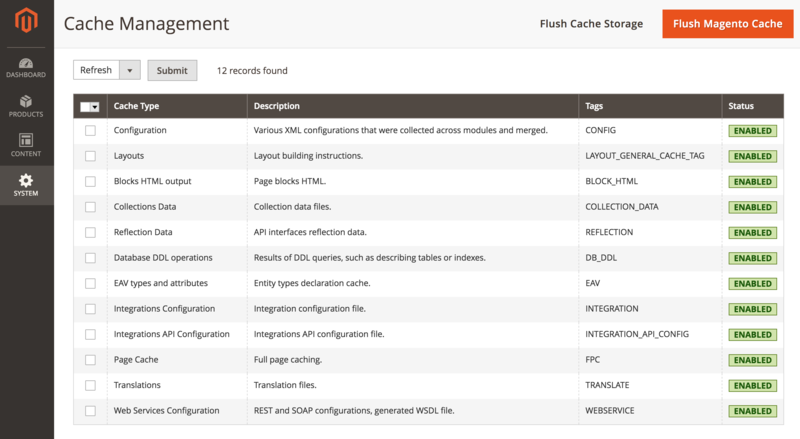 If for any reason you do not want to use the Magento 2 cache management dashboard, you can manage cache from the built-in bin/magento console tool that allows for fast and simple cache management. This reference lists all available Magento 2 cache commands that you can use as needed. 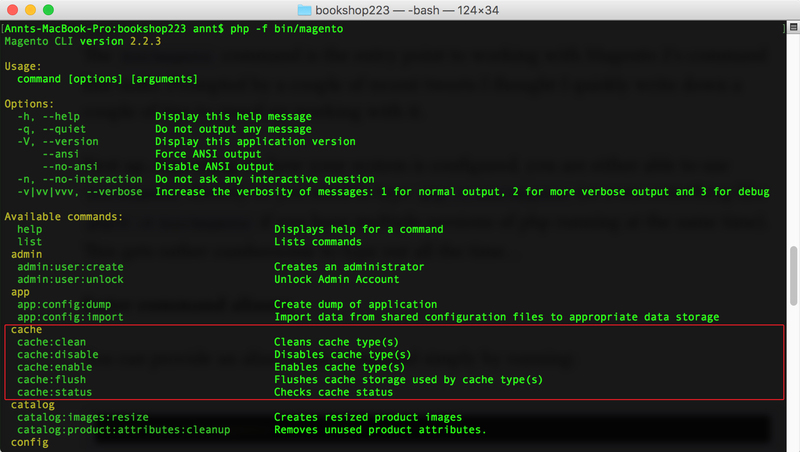 You can execute the command on terminal: php bin/magento cache:disable to disable all cache types. 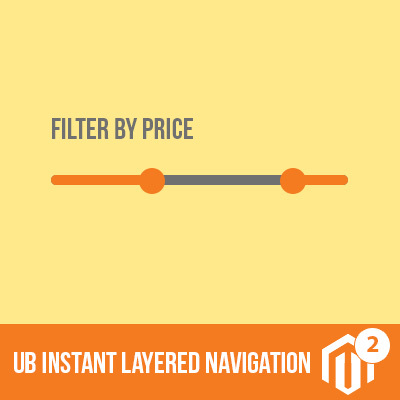 For more information on the CACHE_TYPE, you can refer to the Tags column in the Overview of Magento 2 cache types table afore-mentioned in this post. Let’s see what is the difference between these two methods. That means if you use the alternative cache types (memcached etc.,), those will not be invalidated. In other words, this option does not affect other processes or applications because it cleans only the cache that Magento 2 uses. Disabled cache types are not cleaned as well. The cache:flush method, as the “Flush Cache Storage” button in Magento 2 admin does, will remove entire cache entries, regardless of tags. Once you flush a cache type, it purges the cache storage, which might affect other processes applications that are using the same storage. So you should use the cache:flush with cautions, especially you are using one of the shared storage cache types -- for instance two different applications using the same memcached instance. A practical tip is to use cache:flush type if you’ve already tried cleaning the cache and you’re still having issues that you cannot isolate. We hope this post helps you get an overview on how to work with cache in Magento 2. Understanding all nuances related to cache:clean vs. cache:flush is vitally important when you work with Magento 2 extensions and themes.